10% discount on regularly priced items in the Museum Store. In addition, your Museum Membership helps celebrate NHRA racing history and supports Museum programs, including the Twilight Cruise Series, Hot Rod Reunion® events, and specialty events throughout the year. Your generous support will help the Museum’s efforts to collect, preserve, interpret and exhibit the vehicles, artifacts, and stories that represent our passion for and the influence of motorsports. Your tax deduction may be limited by the value of the gift premium received. 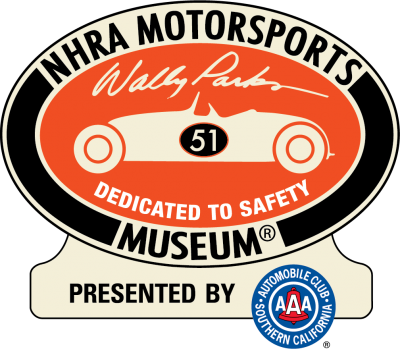 For more information please contact the NHRA Museum by calling (909) 622-2133.